The Galway City Council has agreed to raise a Capital Assistance Scheme (CAS ) loan for the construction of nine units for housing for women and children as a domestic violence refuge run by COPE Galway. The loan for the amount of €2,348,045, will the accommodation built at the Sisters of Mercy site on Forster Street and will include the facilities for the delivery of supports to the women and children who reside in the refuge and in the wider community including offices, meeting rooms, staff facilities, and a childcare unit. The mortgage on the project will be for a duration 30 years and is non-repayable. 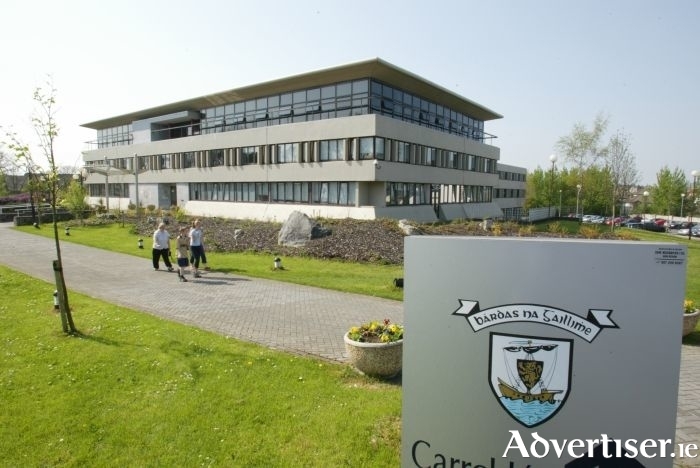 Acting director of services for the Galway City Council, Dermot Mahon said it was hoped that construction on the accommodation would be completed by March 2020 and that the accommodation would used for transitional purposes and not as a permanent dwelling. Councillors at City Hall at Monday’s meeting welcomed the news. Fine Gael councillor Pádraig Conneely said it was “a sad affair” to the see the need to increase accommodation for victims of domestic abuse. Galway city central councillor Billy Cameron said he was glad to see there were meeting rooms being included in the project and that “it is a shame we [still] have to have a refuge for women [who are experiencing domestic violence]”. Cllr Frank Fahy said he was looking forward to the opening of the building but said the need for emergency accommodation for victims of domestic violence as a sad reflection of life. Galway city cathaoirleach, Níall McNeilis said he welcomed the news and said that the site where the Magdelene laundries stood would finally be used to help women who need support.